The XJTLU Annual Leadership Agenda is informed by the vision and mission of the University, trends in transnational higher education and the policy and financial environment. It aims to encourage institutional strategic thinking, develop a shared vision for the XJTLU community and provide context for all operational matters and all staff. XJTLU functions in a manner that ensures, on an ongoing and evolving basis, that all its operations and activities align with and support its missions. By developing effective organisational governance, we can improve the University’s ability to meet institutional strategic objectives and to respond to the challenges of a dynamic external environment. Increasing internationalisation remains a cornerstone of our University’s vision and mission. Substantial steps have been taken but challenges remain that require particular dedication, effort, investment and support. One of XJTLU’s missions is to explore new models for higher education that will exert a strong influence on the development of education in China and the world. In line with this commitment, we have striven to ensure that our exploration is internationally relevant, intellectually challenging and at the forefront of the fast-changing higher education sector. Our academic community is the driving force behind the implementation of many of the developments and refinements that are needed at this stage of development of XJTLU. As a research-led University, we believe the provision of postgraduate education excellence will enrich and support the ongoing growth of the academic community. Students are at the centre of everything we do. In line with the overall goal of XJTLU increasingly adopting international principles around student engagement, we aim to treat students as young adults and have them contribute to discussion, debate and decision in as many forums as possible. XJTLU is committed to supporting and developing the full potential of our people, and championing an ethos of collegiality, inclusion and diversity across the University and beyond, through employee engagement and effective communication. XJTLU continues to improve its campus infrastructure to world-class standards so that staff and students have an extraordinary employment and educational experience. 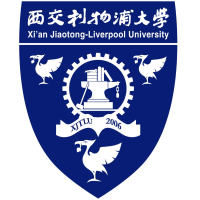 XJTLU strives to develop a new, symbiotic relationship with business, industry and the local community, where the University acts as a vital centre of competence and services that help tackle social challenges, drive economic growth and make a positive intellectual impact on the public.